If the Wayward Sisters are linked with a kind of mythical being, their audiences would undoubtably agree that they share more in common with sirens than the three witches in Shakespeare's Macbeth, from whom the ensemble takes its name. Making waves recently, the Wayward Sisters won Early Music America's Naxos Recording Competition of 2011 not long after snatching the Newberry Consort's title of Emerging Artist for 2010-2011. 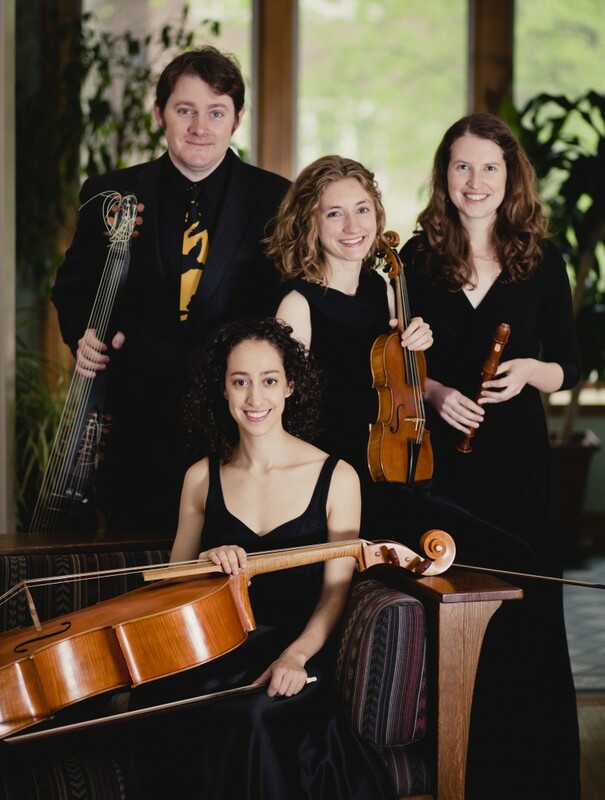 The quartet, formed in 2009, is made up of violinist Beth Wenstrom, flute-à-bec-ist Anne Timberlake, cellist Anna Steinhoff, and lutenist John Lenti. With a name that rather cogently hints at an unfortunate reality, the Wayward Sisters have been living in separate cities since they began. With busy freelance schedules in Seattle, WA; New York, NY; Chicago, IL; and Richmond, VA; it's almost miraculous they've managed to find the time to rehearse and perform together. Luckily, I managed to talk to them in New York while they took a break from rehearsing some of the material for their upcoming CD, Musick for Severall Friends. Every year, the Internet takes a larger role in our lives. This 'series of tubes', as then-United States Senator Ted Stevens (R-Alaska) once called it, has had an incalculable influence over the general public's taste in the past decade, as well as the marketing strategy of arts organizations. These days, many online businesses build their brand in the hopes to go 'viral', a very recent development in the history of marketing. 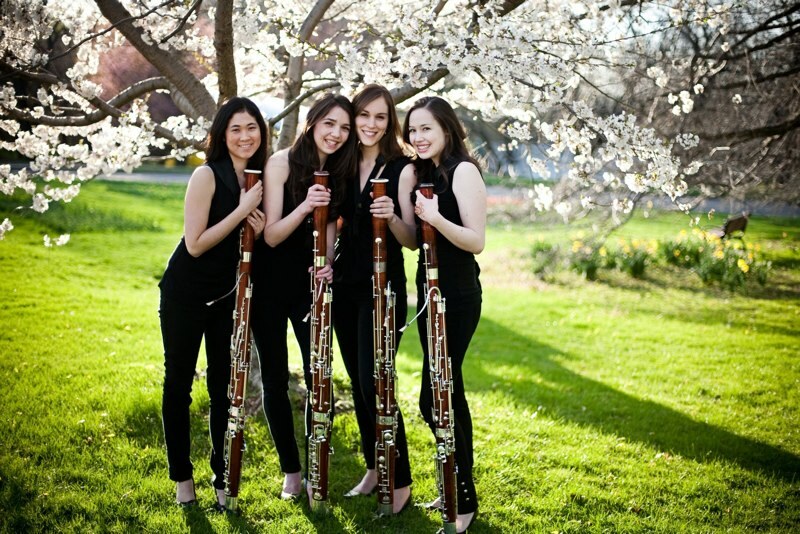 This week, we meet one of the first classical music ensembles to have gone viral in North American social media, The Breaking Winds Bassoon Quartet. Though they had planned to put it on their YouTube channel, as they had done with a previous concert, BWBQ never thought the video would catch so much attention. Two weeks after publishing the Lady Gaga Saga, over 100,000 people had viewed it. The next few weeks saw news websites, blogs, radio and television stations carrying the story. "We had hoped for 1,000 views," explains Brittany, "after the first night we had a few thousand." Since their rise to stardom, the four girls have taken their roles very seriously, each taking a particular task in the administration. Today, they operate a website, Facebook page, twitter feed, and a YouTube channel, which are regularly updated. For an ensemble with an average age of 23, this is quite extraordinary. The girls have been steadily posting new videos on their YouTube channel, keeping up with their fans. "It's nice to think that people might be watching our progress who aren't able to see us live [yet]," says Kara, "though [putting videos up] was more for our friends at first." Though their other videos haven't had as many views as the Gaga video, they still have a few thousand each. An ensemble with a clear understanding of modern marketing techniques, the Breaking Winds have had their fingers in the digital pie for years. 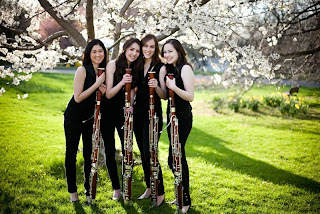 Formed in 2008 by four young bassoonists (Eryn Bauer, Brittany Harrington, Kara LaMoure, and Lauren Yu), the quartet called the Eastman School of Music in Rochester, New York, home. Originally conceived as more of a social activity, the girls took much enjoyment out of the few performances they had together, while focusing on their studies. By their senior year the membership had regularized (Yuki Katayama replaced Eryn) and the group began looking towards new, 'out there', programming ideas, when it dawned on Kara to do a Lady Gaga tribute. "We had all wanted pop music in our next show," explains Kara, "the other girls seem to remember me as being super enthusiastic about [Lady Gaga], I don't think I was... but getting them to warm to the idea was like pulling teeth... Maybe it was a bit odd at the time, but she was everywhere." Fortunately, the other three jumped on board with what had the potential to be quite an embarrassing affair. After graduating from Eastman, the quartet branched apart for grad school, and expect to be performing quite a --bit together in-between term-time. "We're sort of doing our own thing right now,"says Kara, "we all want to work on being the best bassoonists we can be before making a big commitment." Their heart looks to be in the right place, as the demand for the BWBQ has increased dramatically. This past summer, the Breaking Winds tooted over to Texas and performed, to great success, in schools and retirement homes. The tour, their third geared towards schools, came into being thanks to Jennifer Auerbach, a popular bassoon teacher in Dallas, who acted as an intermediary with the local band teachers and principals, before handing off the legwork to Brittany. Ironically, it wasn't the Texas natives, Kara and Brittany, who got the ball rolling with Jennifer, it was Lauren. "Lauren was a musical education major," says Kara, "and her [former] teachers go to conferences across the United States...They've been very good with connecting us with [music educators] all over." Lauren introduced the idea of touring school districts, which, in turn, targeted the quartet towards a niche market. What made the pitch to principles so successful, admits Kara, was their strong web presence. "Their reaction was usually a little hesitant [or skeptical], but once they saw [our videos] and their popularity, they immediately signed on." 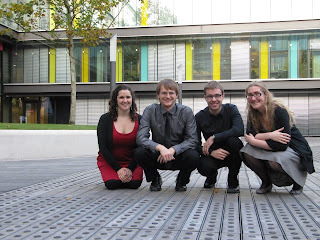 Over three weeks the quartet performed 40 concerts, with 7(!) on the first day. Talk about a day's work. "It was a lot, but we work really well in schools," explains Kara, "we talk a lot with them [in between works], and most band kids think of us as heroes. It's very gratifyingto have fans." What made them so successful for the presenters (band teachers, school staff, etc.) was their flexibility in programming. "Every concert was a little different," notes Kara, "because of the timetables, the age of the kids, or special requests from the teachers we had to adapt." What makes the BWBQ stand out, as you can see in a few of their videos online, is the use of humour throughout their programs. When making the audience laugh, "we find that they become much more willing to listen to everything on the program," says Kara. "It's important for our audience to see that we're people too, and, so far, we're really getting a positive reaction from [the audience]." Unsurprisingly, most walk out of a BWBQ concert thoroughly entertained. This coming March, the quartet will be performing their first 'concerti' with Lauren's old high school concert band, an interesting instrumentation, but one that looks to become familiar with them. They have commissioned a work from Scott Switzer, a friend of theirs from Eastman, for 4 bassoons and concert band to be performed with the Yale Concert Band next fall. In another first for the group, Breaking Winds will be performing in the 'International Competition for Bassoon Ensemble' in Strasbourg, France organized by the French 'Association Bassons'. The competition, being held from the 20th-22nd of April, will focus on more 'serious' works, which will be a fresh turn for the group, whose repertoire has, until recently, focused more along 'classic' American bassoon quartet repertoire and arrangements of popular works. Though what may have been more of a happy accident for the Breaking Winds, we see that viral marketing can be just as successful for classical music ensembles as for online businesses. With their massive exposure and clear online presence, it appears that they have gained a sort of credibility among concert presenters, who may not have taken a risk on them otherwise. Finally, thanks to social media, what was once looked upon by its members as more of a hobby, has transformed into a real career opportunity almost overnight. If you are ever faced with a problem which you feel that, having reviewed all the data, you cannot solve, one might tell you that the answer could be staring right at you. To a certain extent we have all had that experience, for example, my most recent excursion around the house to find my glasses ended up in their discovery upon my nose. Meet Ensemble 1729, a dynamic new group "forged in the fire of Mount-Royal," which focuses on presenting music of the baroque and galant. As students of McGill's Schulich School of Music, Joanna Marsen, traverso; Mark Edwards, harpsichord and organ; Vincent Lauzer, recorder; Kate Bennett Haynes, baroque cello; and Estelí Gomez, soprano; began sharing their love for music in 2009. Since then, their performances of thoughtfully-crafted programs have been heard across North America and Europe. "We think out our programs with a clear idea of who will be performing with us," says Joanna, whose deep investment in the group is clear from the instant I sat down with her, "once we know who is available, we find the music most suited to them [which fits with the theme of the program]." Though the group has a core of five members, 1729 has been performing this season with quite a variable instrumentation, from three to seven on stage in any given concert. 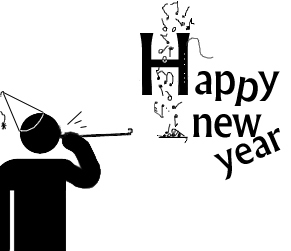 Happy New Year from theheckeler.ca! January 1st, 2012. In my mind, the first day of the transition which faces the classical music industry. Over the past few seasons, we have seen a slew of north american orchestras apply for chapter 7 bankruptcy (Syracuse, Honolulu, New Mexico) as well as chapter 11 bankruptcy reorganization (Philadelphia, Louisville), and, more recently, onlookers as well as active participants in the industry have spent their time asking the question, is there a crisis in classical music?